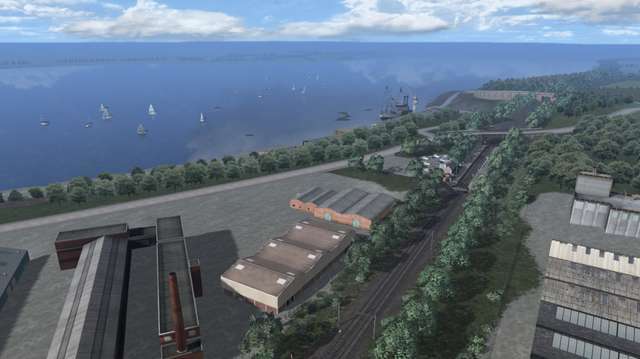 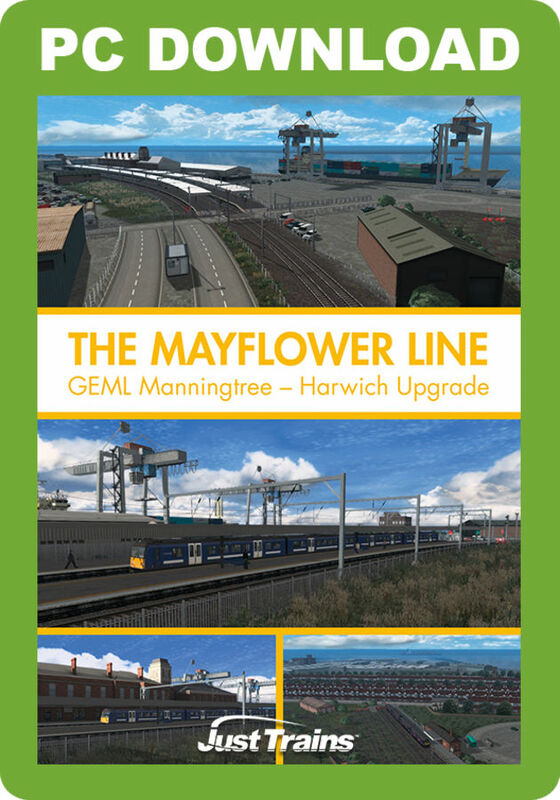 If you own the Great Eastern Main Line London-Ipswich Route Add-On and have noticed that the part of the line from around a mile outside of Manningtree to Harwich Town is track only and has no scenery or detail, Just Trains brings you the missing parts to make the Mayflower line shine in glorious detail! 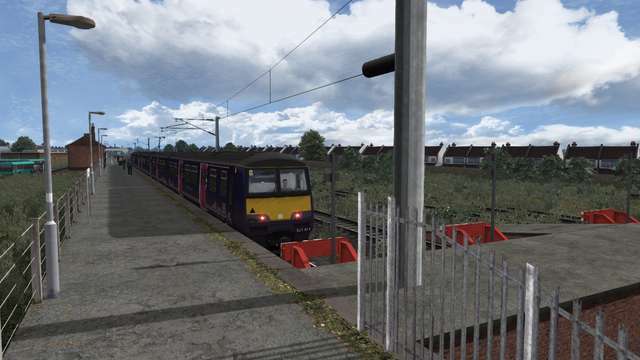 Running approximately 11 miles, alongside the River Stour in the East of Essex, the Line from Manningtree to Harwich is known as the Mayflower Line and is electrified by 25kV overhead line equipment. 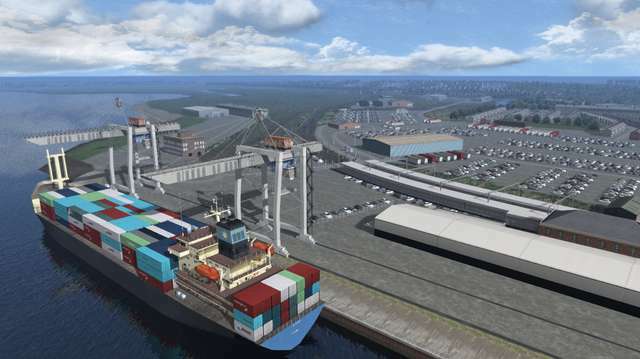 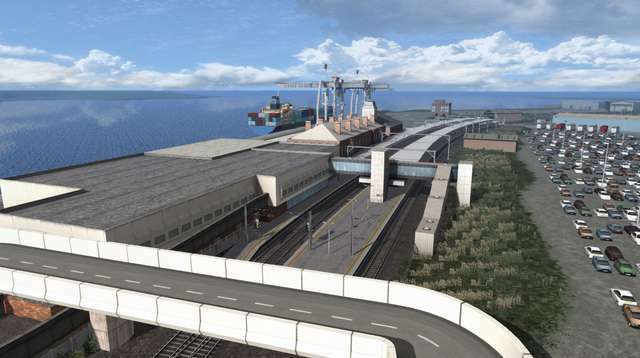 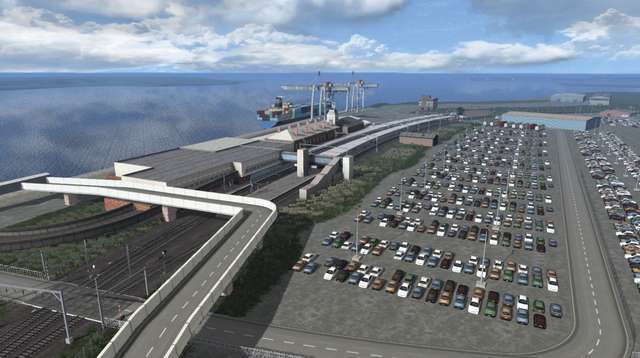 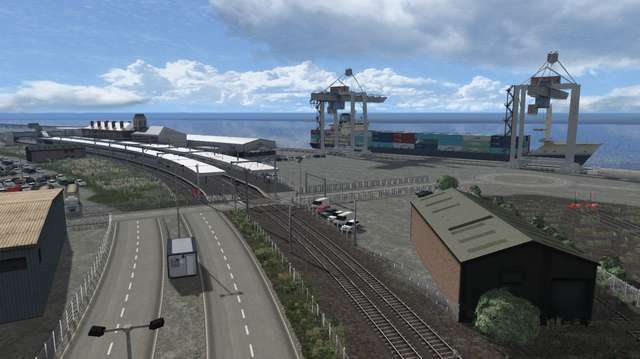 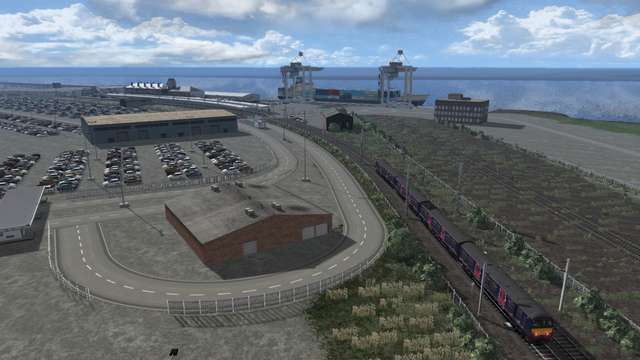 Five new stations including the International Terminal at Harwich are included along with many custom-built objects to add realism to your drive. 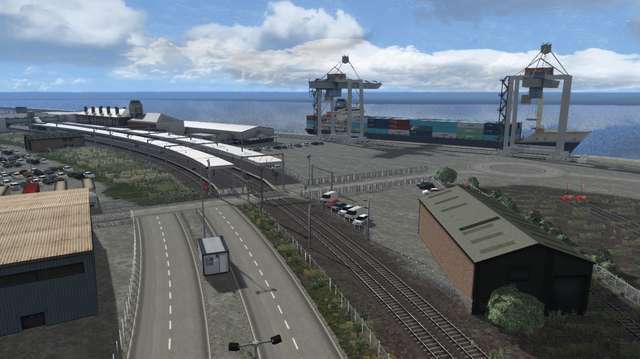 The Parkeston Marshalling Yard to the west of Harwich International station and the Harwich Refinery are included. 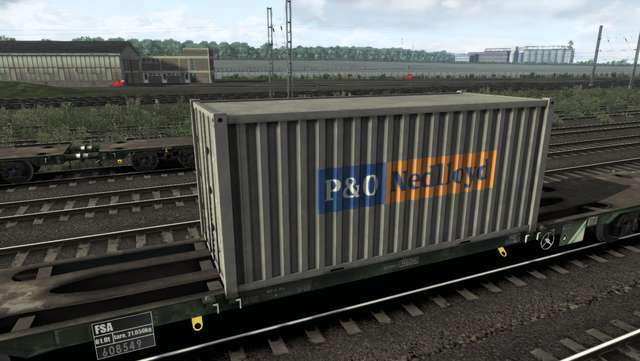 Also included is a set of reskins for the containers that come with the Freightliner Class 70 and Class 86 Loco Packs, (not supplied, available to purchase from Steam). 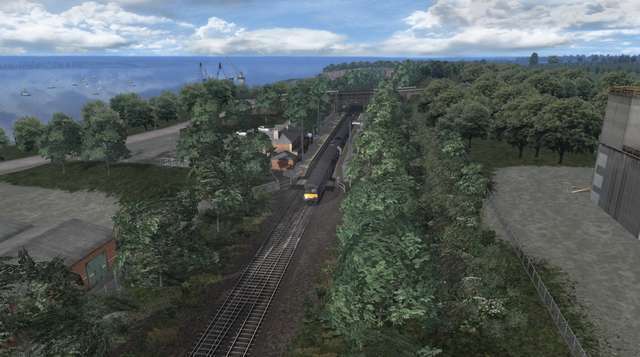 Note: You must have the Great Eastern Main Line London-Ipswich Route (available via Steam) installed to allow this add-on to work. 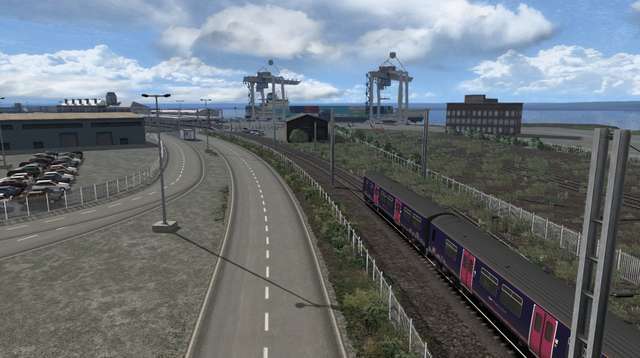 Please note that although some of the scenarios use the default locomotives and rolling stock, there are some which require extra items to allow them to run correctly. 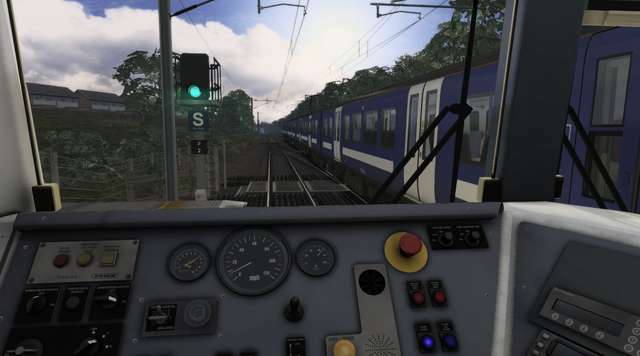 These scenarios use the Greater Anglia Class 360 EMU which is supplied with the GEML London-Ipswich route and do not require any additional stock. 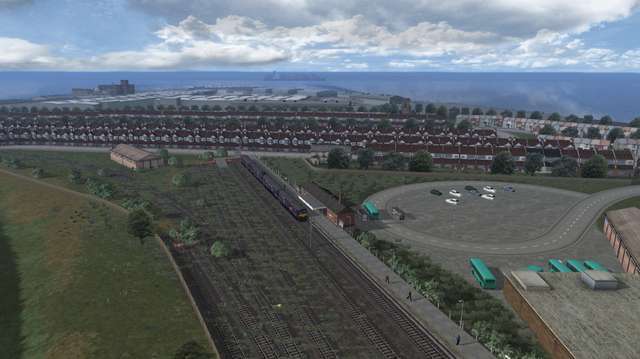 Drive 360112 ECS between Colchester Depot and Harwich Town in preparation for the first service of the day. 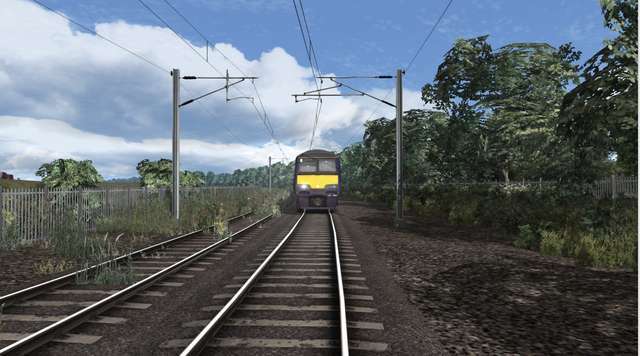 Drive 360112 between Harwich Town and Manningtree on today’s first passenger working on the branch line. 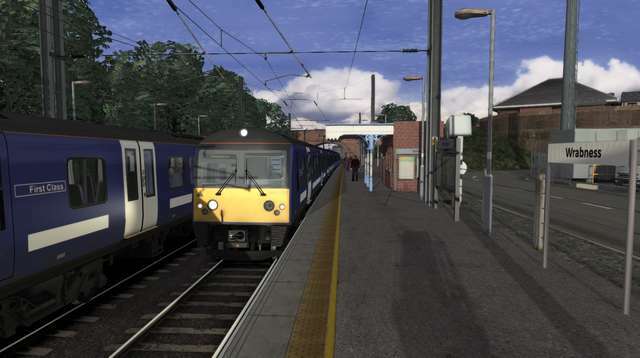 Drive 360102 on an early evening service between Manningtree and Harwich Town. 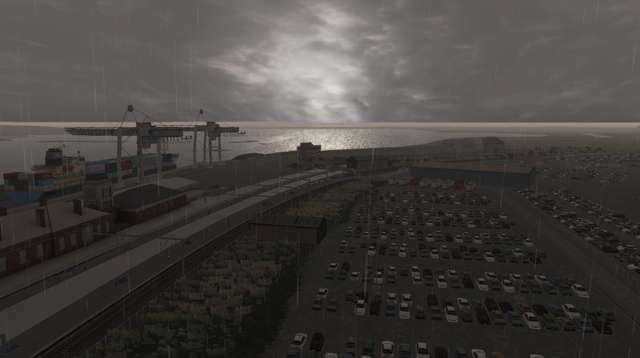 Stick to the timetable so that passengers can arrive in time to make their ferry connect ion! 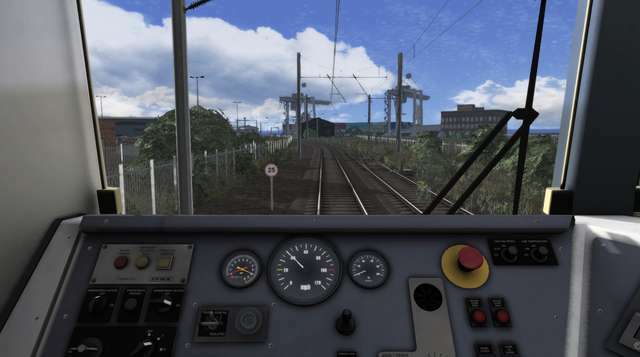 Drive 360102 on an early evening service from Harwich Town to Manningtree, making sure that you stick to the timetable. 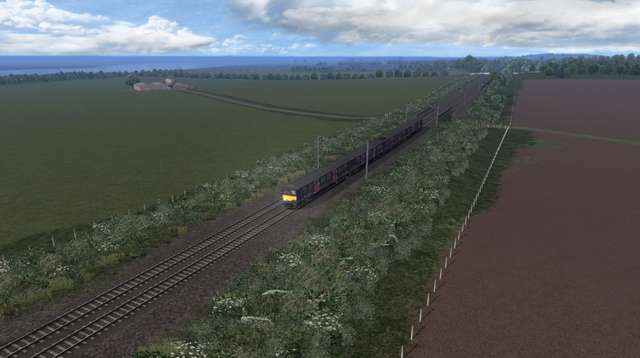 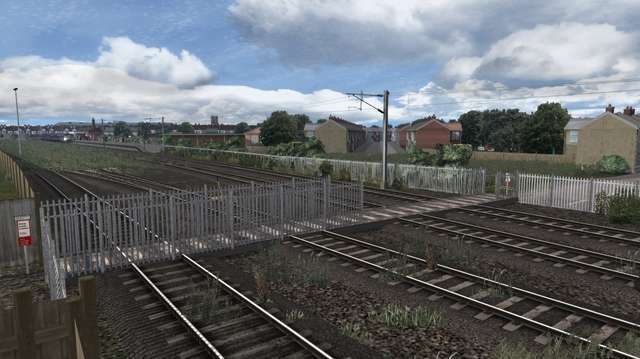 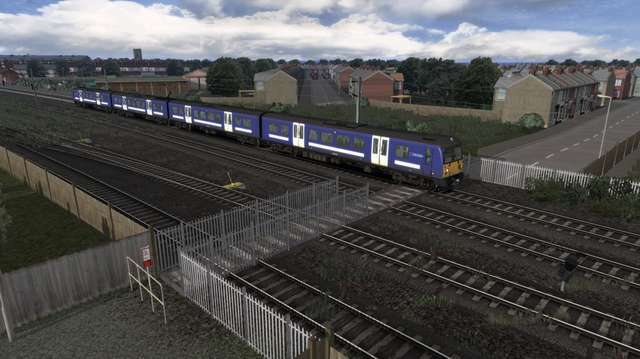 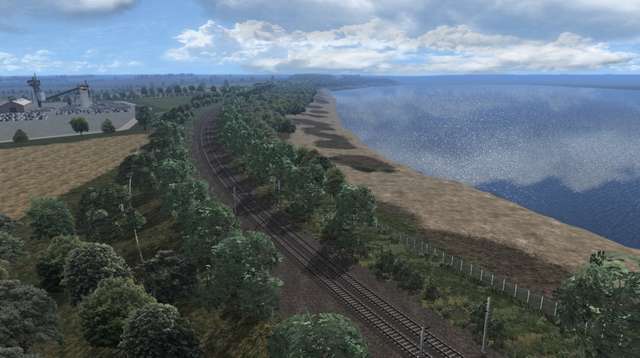 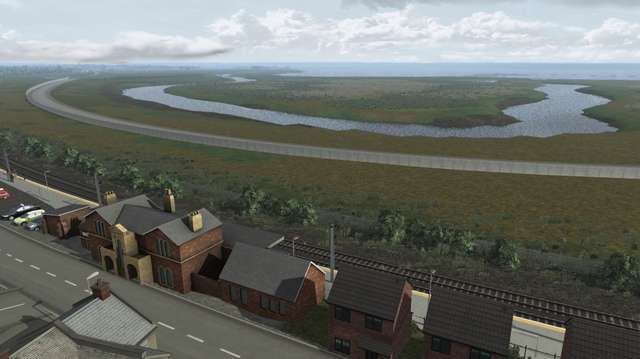 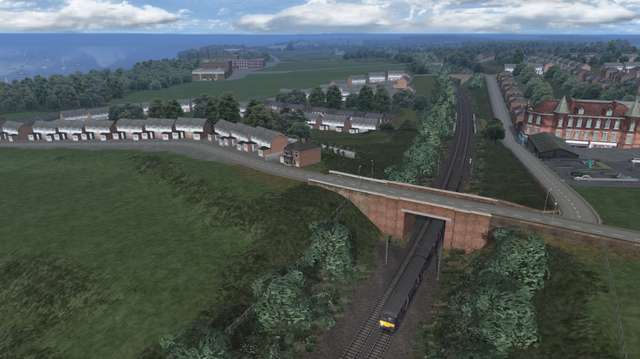 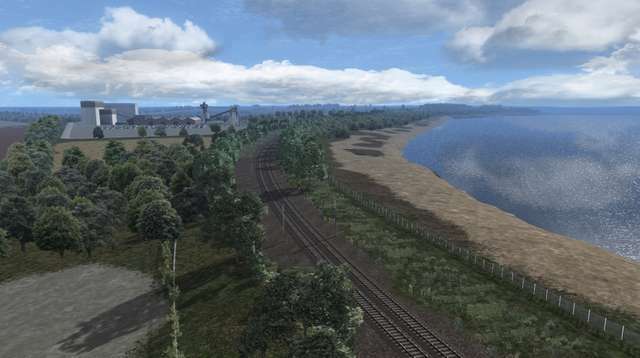 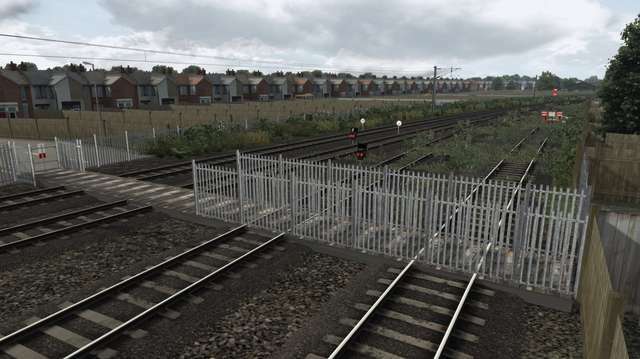 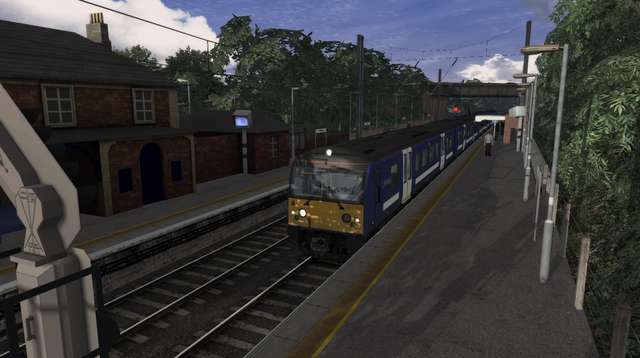 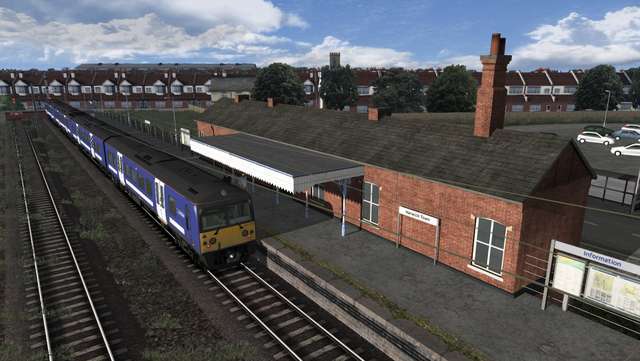 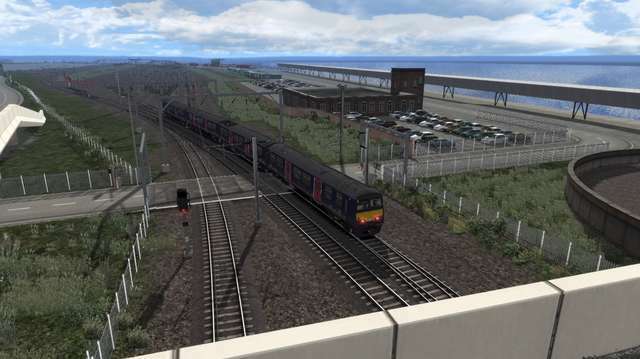 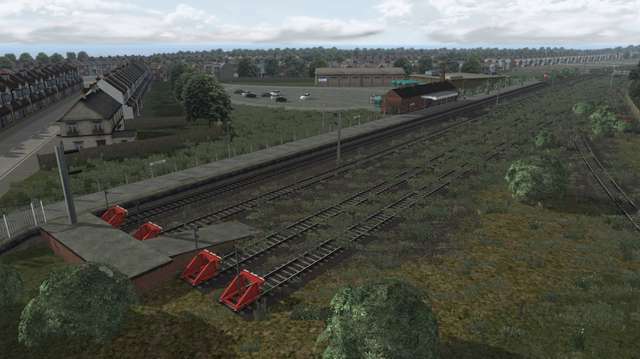 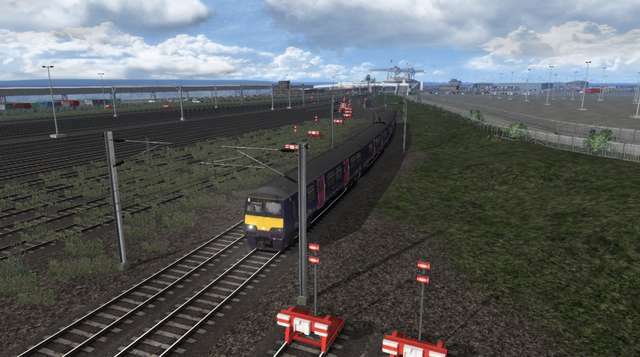 These scenarios all require additional stock which is not supplied by default in Train Simulator or the Great Eastern Main Line London-Ipswich Route Add-On. 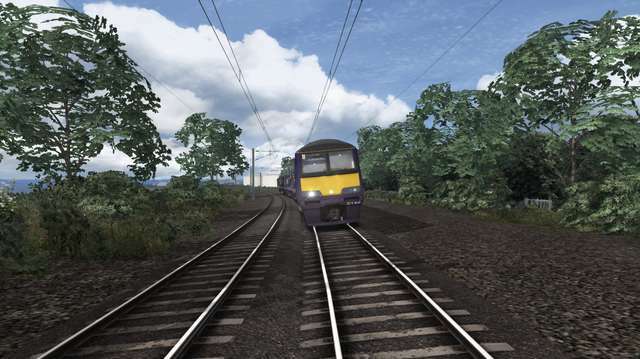 Note: We have included several scenarios which require a Class 321 EMU to operate. 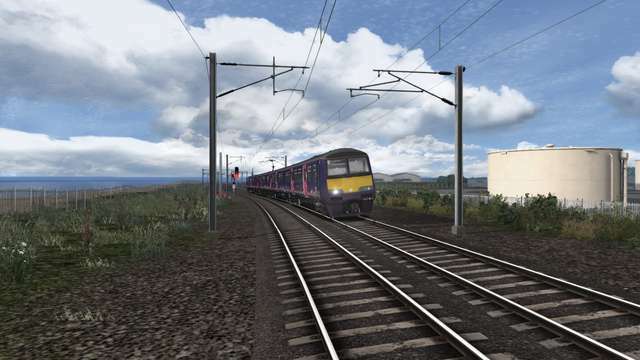 You can either use the First Capital Connect Class 321 EMU available to purchase from Steam OR the Class 321 Electric Multiple Unit Pack available to purchase from Armstrong Powerhouse. 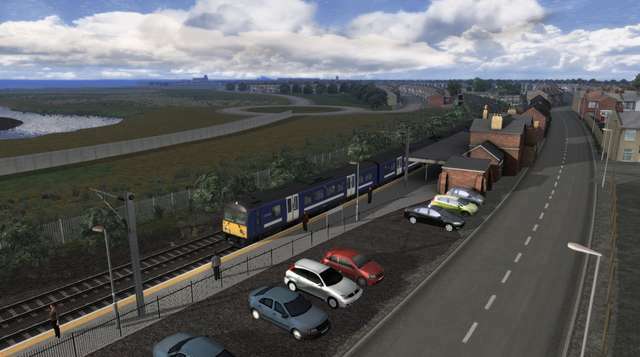 You do not need both as the scenarios that use these are exactly the same; they just use one or other of the Class 321s. 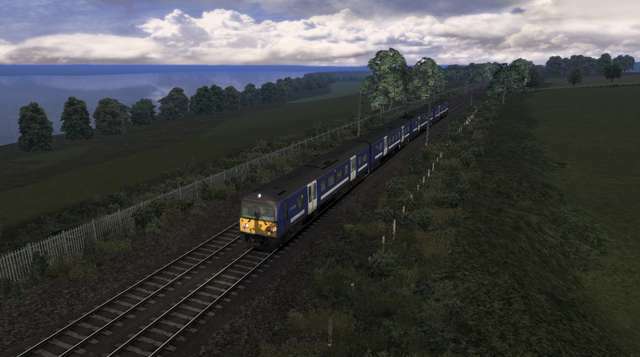 Drive 360102 from Colchester to Harwich Town on an early evening service in very wintry conditions. 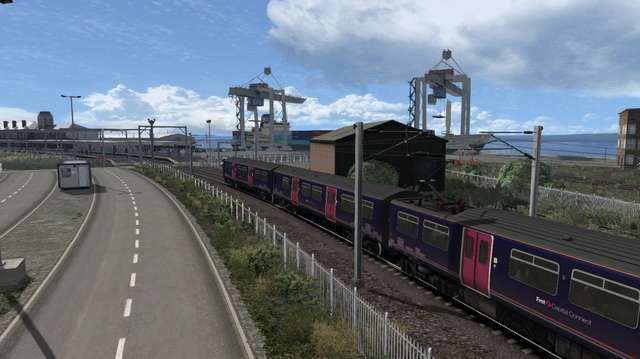 Relieve the driver of 153332 at Ipswich and take the unit forward to Harwich International for the remainder of service 2A04 Lowestoft-Harwich International. 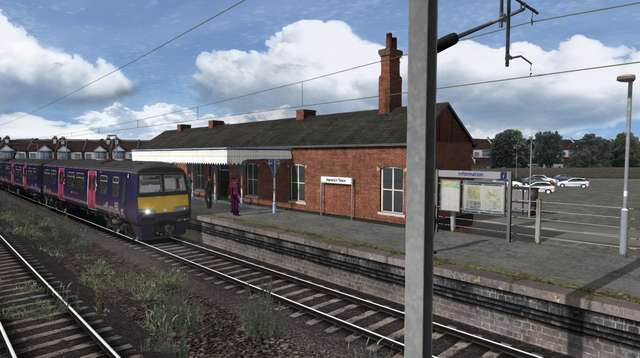 Drive 321337 in service between Harwich Town and Manningtree before returning the unit to Colchester in an ECS move. 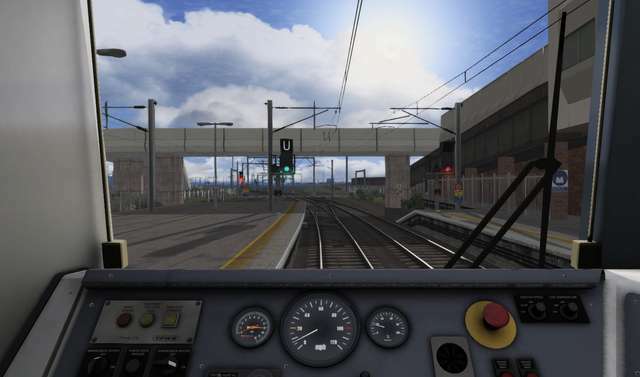 It’s a Sunday morning and there is an engineering possession of the fast lines between Ilford and Shenfield and on all lines out of Liverpool Street to Stratford. 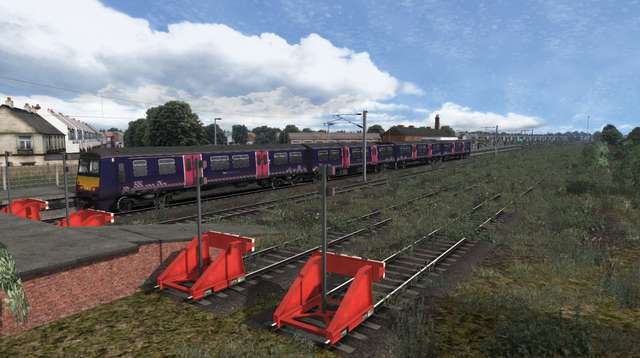 This means that there is a vastly reduced timetable in operation with buses replacing many trains. 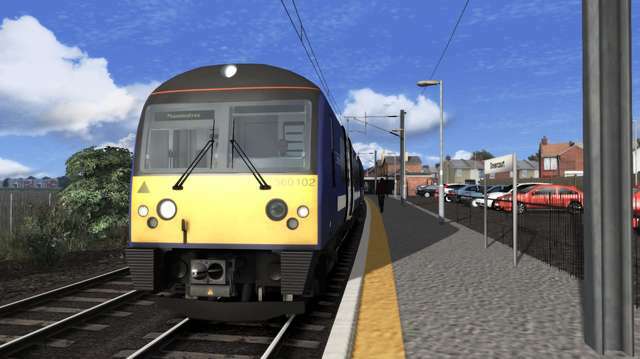 You are to drive 1A95 on the 07:20 Harwich International-Stratford service. 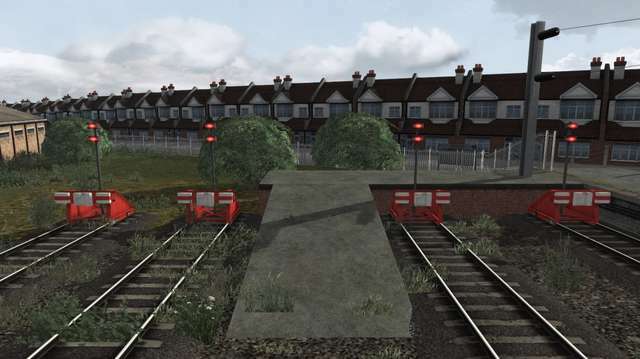 You will be driving a pair of Class 20s on the Rail Head Treatment Train. 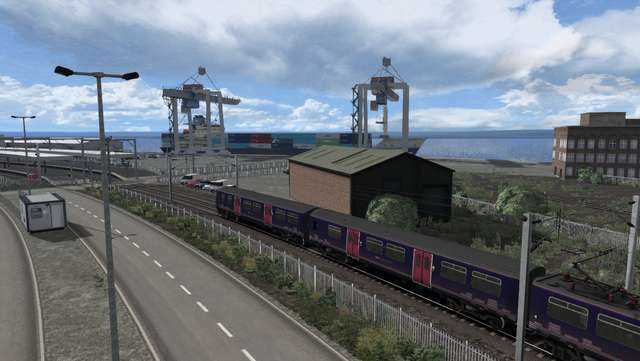 Drive a Class 67 on a special car-carrying train from Felixstowe to Harwich. 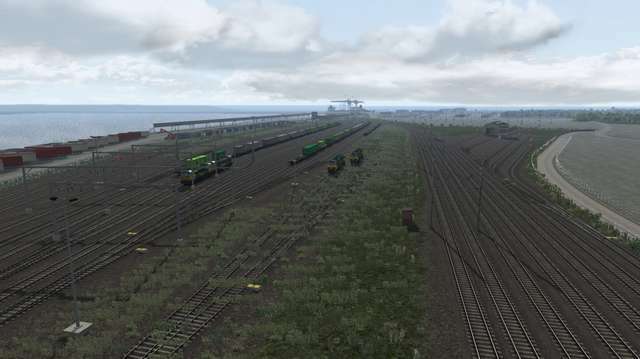 Drive 60038 on an early morning freight service delivering a loaded Cargowaggon train to Harwich Refinery. 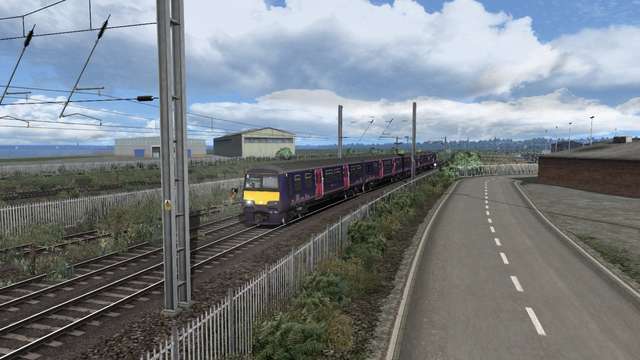 Take over 70007 heading an intermodal service from Ipswich Yard to Parkeston. 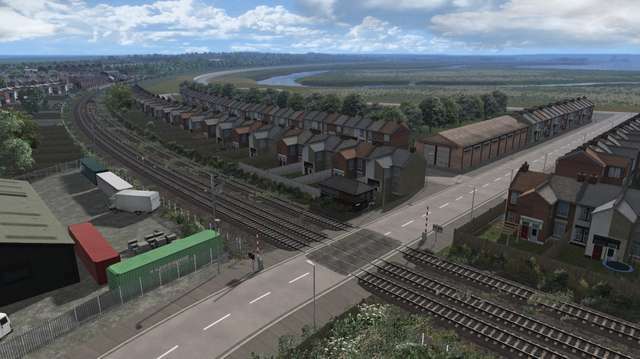 Prepare your Class 90 locomotive at Ipswich Yard before collecting your train of wagons and taking them down to Harwich. 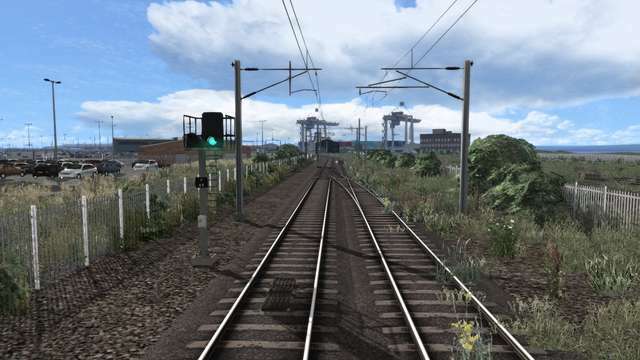 Collect a pair of Class 86 locomotives from Parkeston Yard before taking an intermodal train to Ipswich Yard for another driver to take forward. 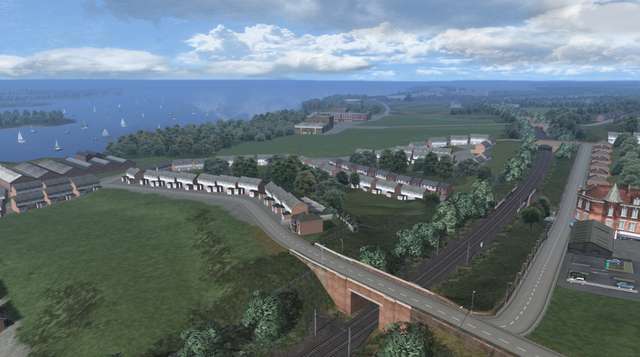 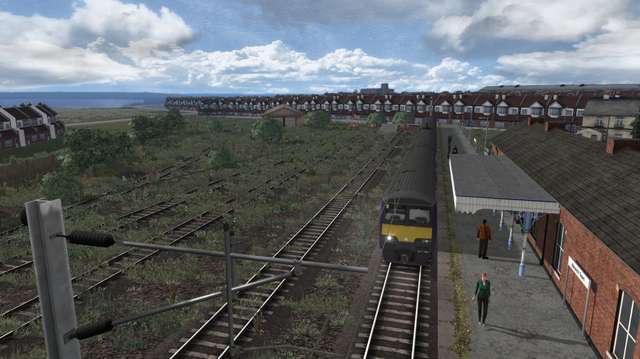 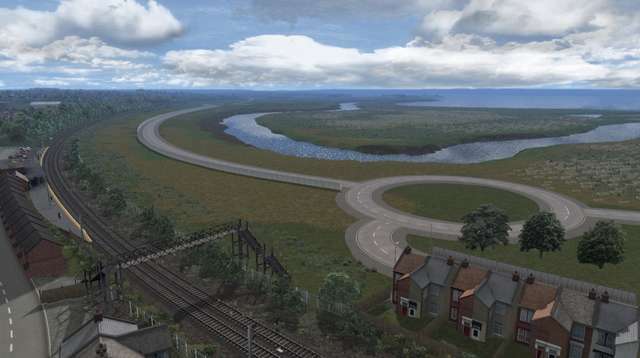 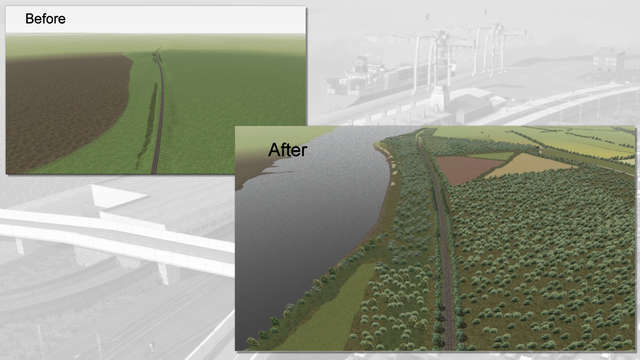 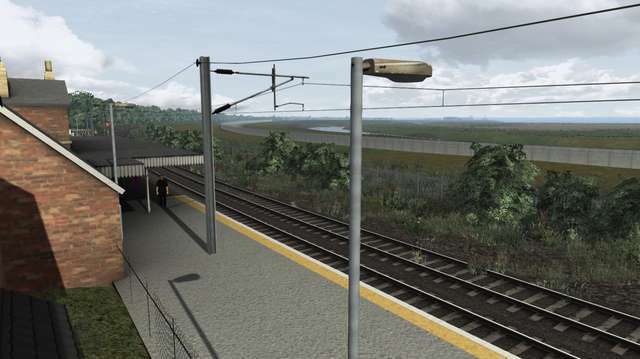 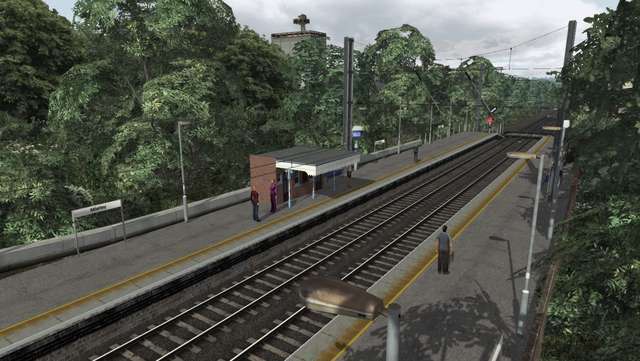 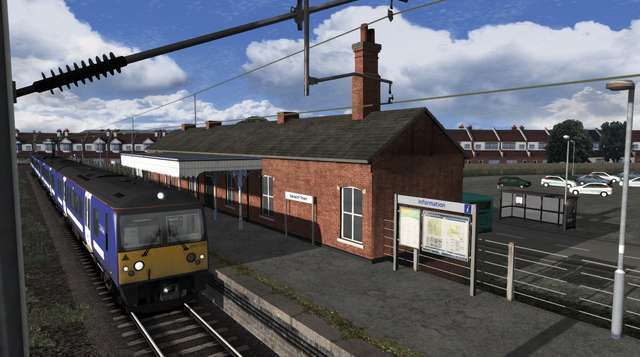 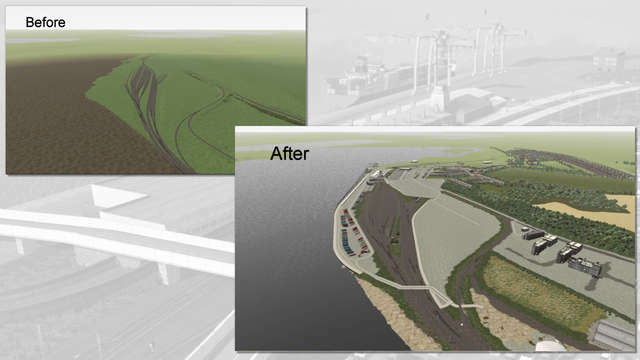 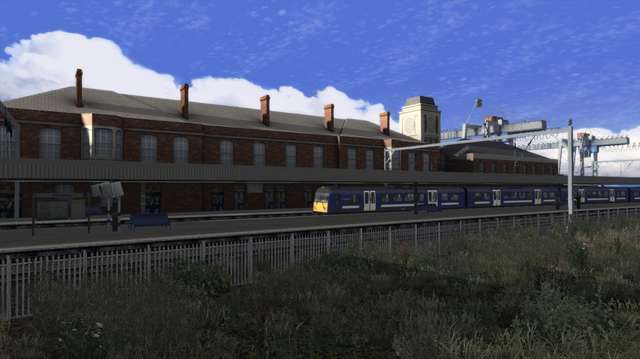 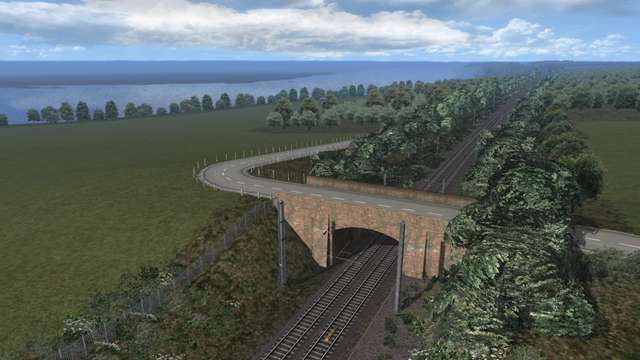 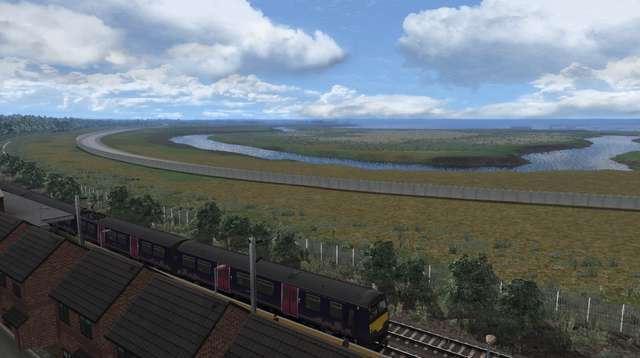 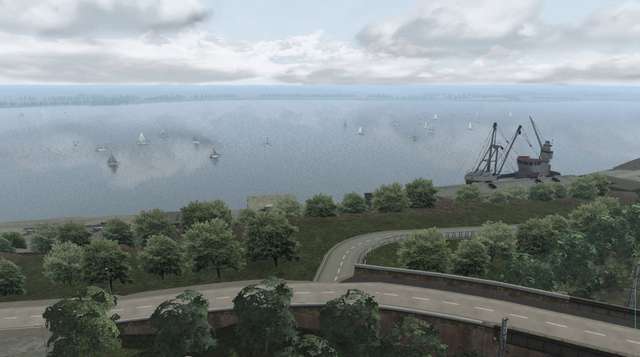 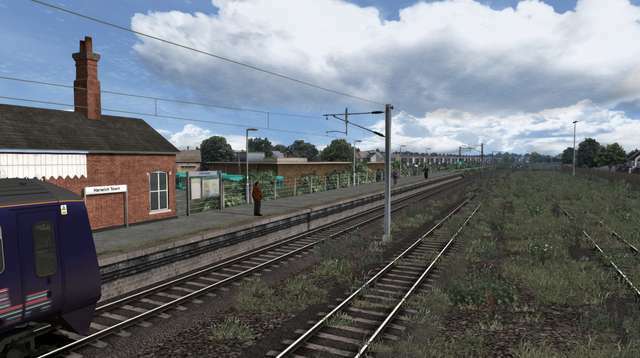 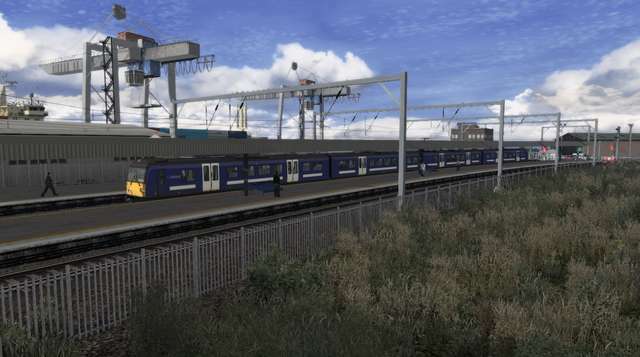 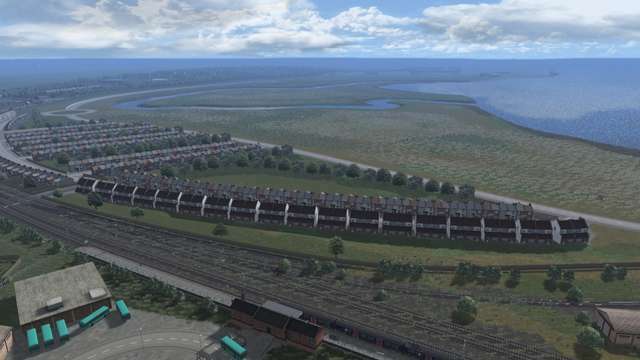 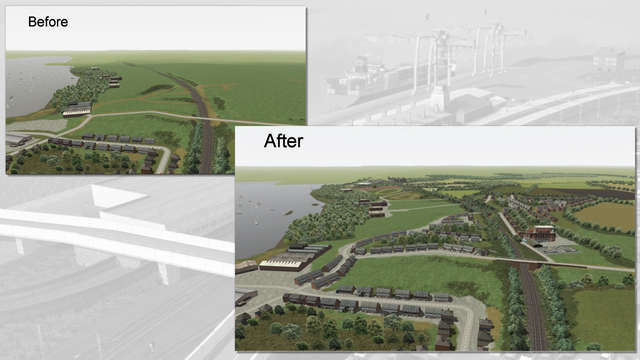 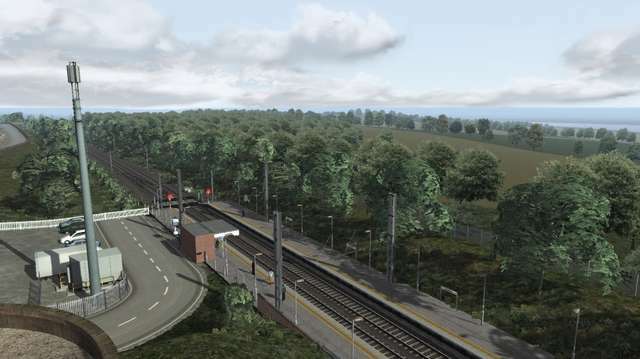 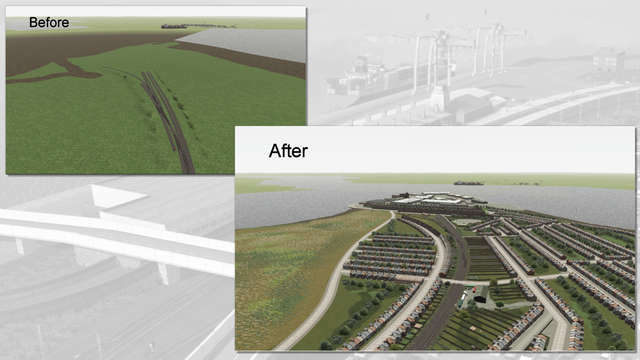 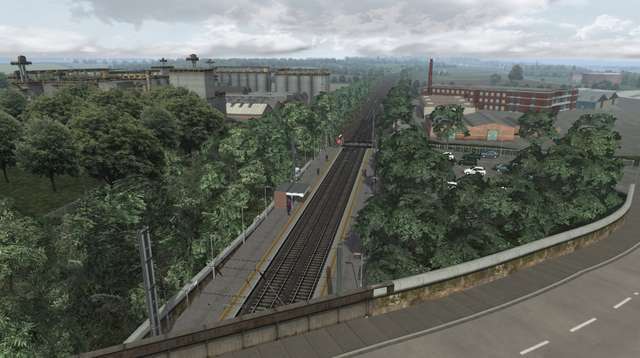 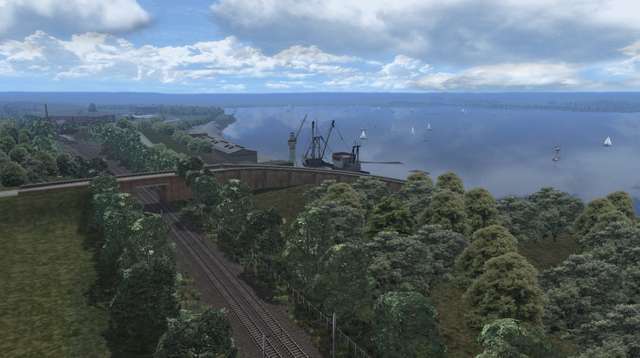 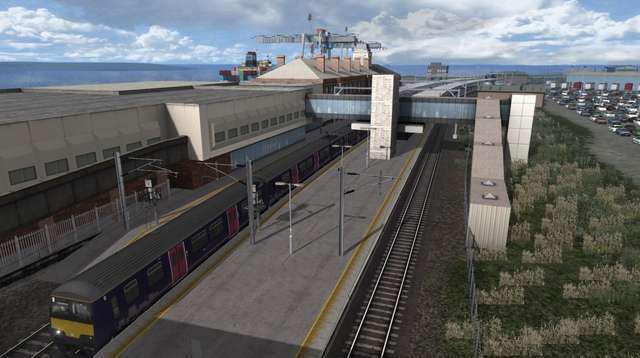 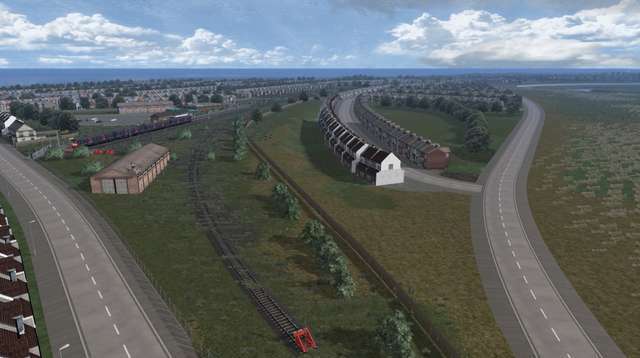 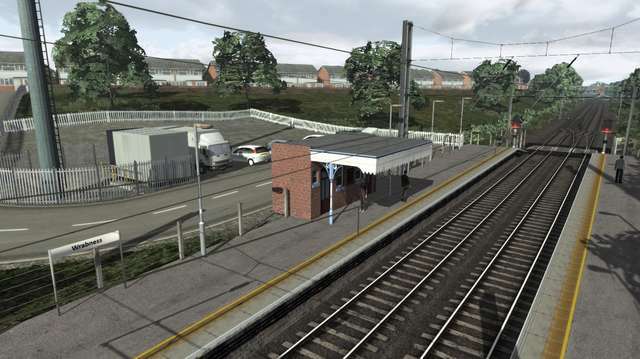 This Upgrade will totally transform the 11-mile Mayflower Line section of the GEML London-Ipswich Route Add-On, with five new stations, many custom objects and other scenery features replacing the barren default landscape. 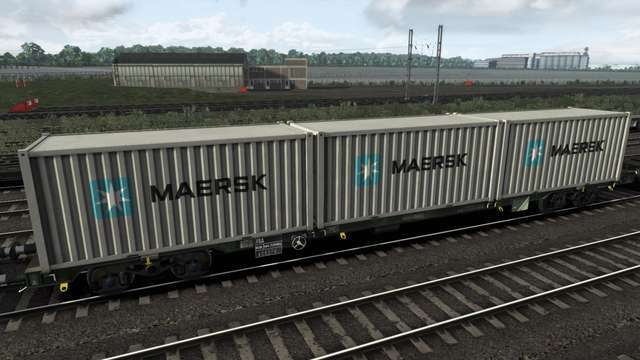 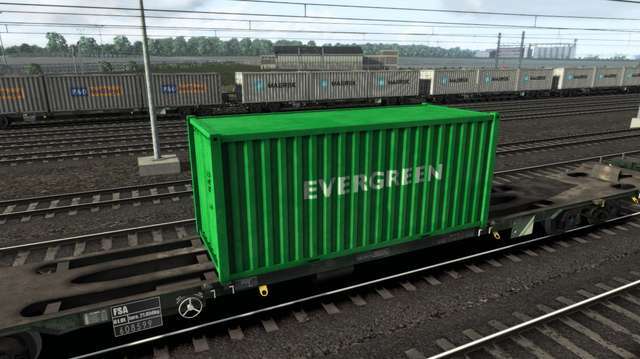 Also included are four reskins for the containers that come with the Freightliner Class 70 and Class 86 loco packs and a large set of scenarios, some of which require additional payware stock.